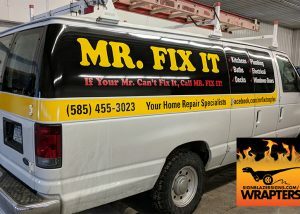 Example of a vehicle wrap. 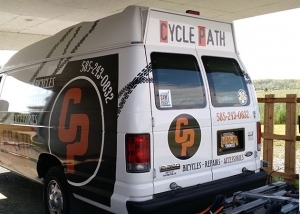 This is a custom partial wrap that was designed in house. This was then applied to the customers van. 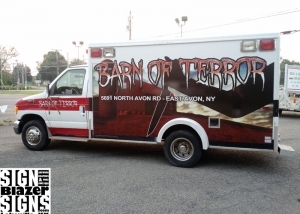 This is a custom printed vinyl graphic wrap that was applied to the exterior of an ambulance. 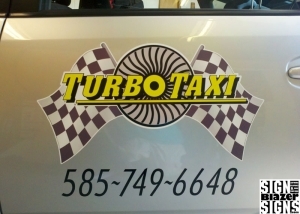 This is a printed vinyl graphic wrap for a taxi company that is cut to shape and applied directly on the vehicle.